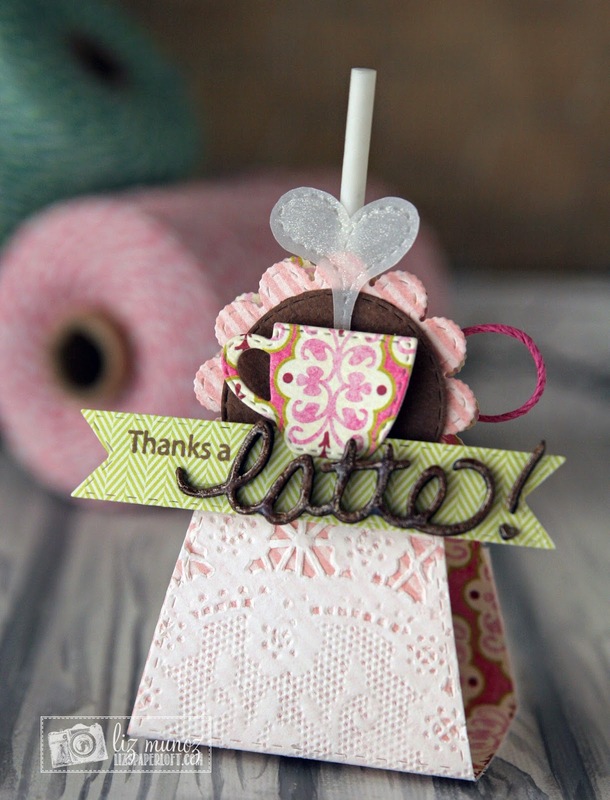 Liz's Paper Loft: MCT What A Treat Wednesday ~ thanks a latte! Good morning, today is What A Treat Wednesday over at My Creative Time! I hope you've had a warm beverage of something to start your day...if not you can join me with my style of "joe"! 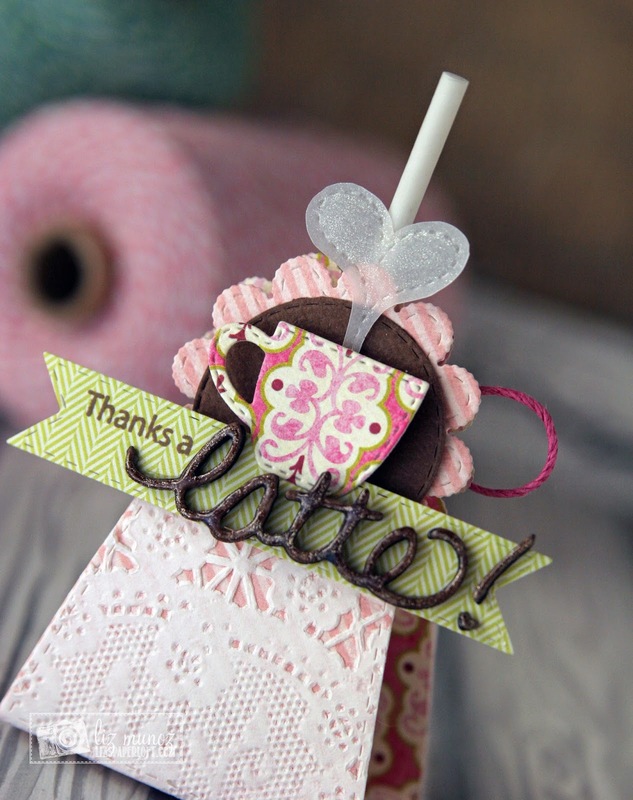 I used the lollipop die to cute the pattern paper and a doily. For the "latte" I cut it about three times and attached to each other, then added wink of stella and glossy accents. Do you know how hard it was not to eat this lollipop? lol! OMG Miss Liz How Beautiful and Sweet did your Treat box turn out WOW!! You've done it again made something look vintage and shabby/chic what a presentation it is too. 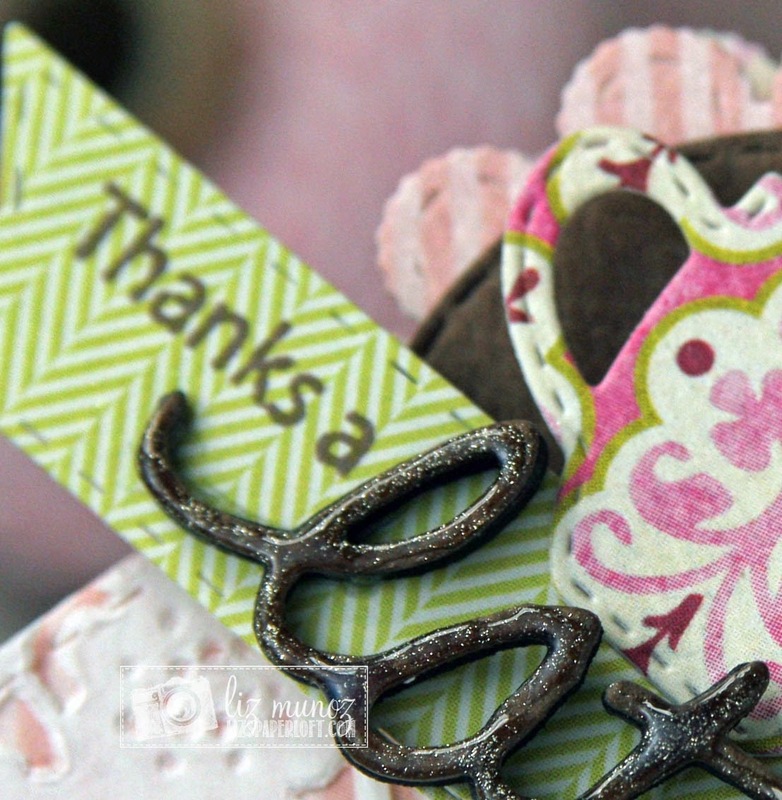 Love the ways you've used Miss Emma's goodies. Your paper choices with the doily are so pretty. You totally did an outstanding creative job. I love it!! Hi Liz, I am drinking a hot coffee drink as I try to wake up-even though its noon. I love the treat holder is that a coffe flavored lollipop? I can imagine how hard it was not to eat this lollipop! The way you decorated the holder is awesome. Love the steam for the cup and the doily! So pretty. I love how your project turned out. The die cute Latte looks incredible. This is so cute Liz! I love the pretty papers! The coffee cup is adorable and love the latte! 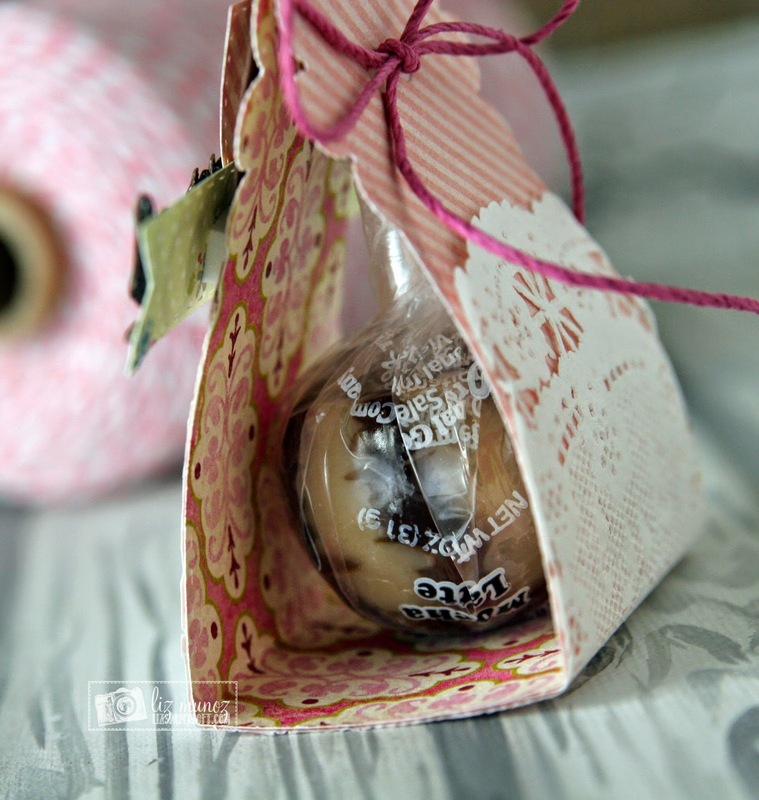 Hmmm...not sure what's going on, but the blog doesn't have today's sneaky peek post. I saw the pic over at MCT and your card is adorable. TFS! Just adorable Liz!! Great pattern papers!! Great tag for the sucker. Looks so elegant. Thanks for sharing your sweet treat holder. Liz ~ Simply GORGEOUS!! LOVE the whole design and paper choices along with MCT goodies ~ always so elegant and classy!